Have you never had the urge to Sponsor a Child? I won’t pretend to know why the average person is turned off by the countless child sponsorship advertisements. It could be the depressing feeling one gets when they see such poverty and despair. Or the assumption that their efforts will most likely not make a difference. It might even be the flies. I can’t stand flies, even if they’re swarming around some other person on my television. So the desire to focus one’s attention in a more positive, fly-free direction is understandable. But there’s another side to it. Though the hunger and poverty are real, I want to focus today on the positive aspects of sponsoring a child. Simply put–the children! My family and I sponsor three children in three different countries. Because we have two daughters and one son in our home, we sponsor two boys and one girl to even up the playing team. And I can tell you from experience, our lives are better for it. Our sponsor son in Rwanda is a mellow, direct little fellow. He writes what he means for you to hear. No fluff. Good stuff. Our sponsor daughter in Bolivia is mature and soft-hearted. Her sweetness is felt in every letter we get from her. And over the years my heart aches more and more to just squeeze some of this love into that girl one day. Our sponsor son in the Philippines is a happy, energetic, bold, charismatic, HANDFUL! Every picture has a different pose which says “It’s me again!” and “How you like me now?” He keeps us the busiest, since he once wrote to us that he “checks every day to see if he has any letters.” He also has burrowed his way deep into our hearts. There’s nothing like having a little boy who’s never seen you tell you “I miss you” in a letter. 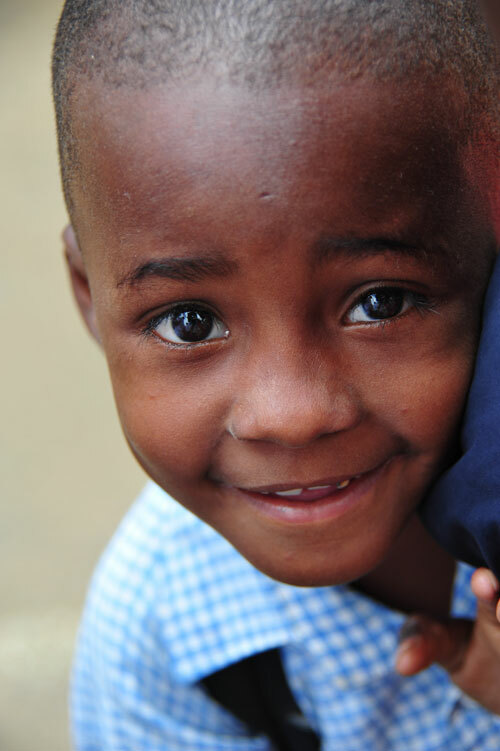 Our sponsor children exist beyond the pictures and have become an important part of our extended family. We love them. And love beyond the boundaries that were drawn in your natural family is nothing short of a blessing. Better still is the knowledge that your sponsorship drastically improves their quality of life and their ability to enjoy it as children. I challenge you to look beyond whatever preconceived notions you have about child sponsorship, and just experience the adventure of sponsoring a child. Write the letters, let them know you’re interested in them–what they like, what they care about, what they do; and they’ll quickly pop up out of their shy little boxes to show you how much more they’re interested in you. Then watch a love unfold and grow that you never knew was possible. Visit the Compassion website and Sponsor a Child today.